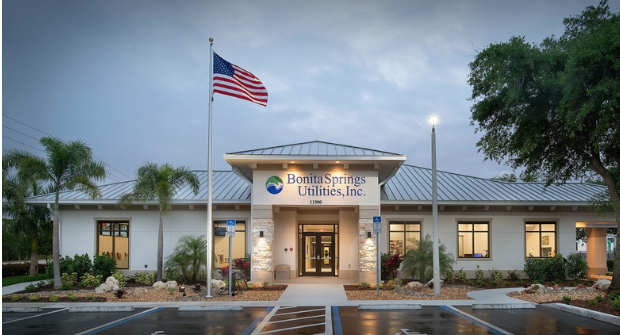 Stevens Construction has completed its second project for Bonita Springs Utilities. The Fort Myers-based contractor recently turned over the keys to a new, 6,540-square-foot customer service facility at 11900 E. Terry St. The new building features sustainable, energy-efficient options and finishes, with an open layout to optimize efficiency for customer service representatives and staff to serve their members. Stevens previously built a 19,000-square-foot, two-story administrative building in 2017. The most recent project required temporary relocation of the department and resulted in no disruption of service.